De-industrialization, accelerated by the financial crisis, is a long term process. The comparative advantage of emerging economies shifted towards more advanced goods and their growing populations commanded an increasing share in global demand. This shift towards a factory-free economy in high income countries has drawn the attention of policy makers in North America and Europe. Some politicians have articulated alarming views, initiating mercantilist or 'beggar-thy-neighbour' cost-competitiveness policies. Yet companies that concentrate research and design innovations at home but no longer have any factories there may be the norm in the future. This volume proposes an economic analysis of this phenomenon and includes 11 contributions which complement each other and tackle the problem from different angles. 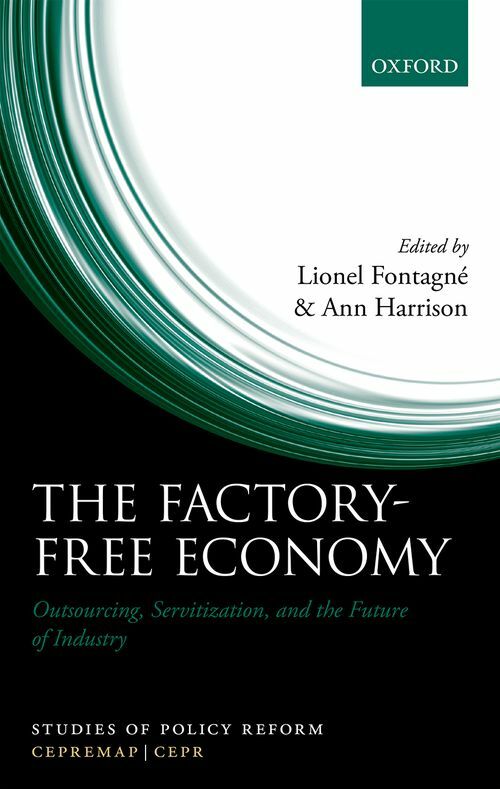 The evidence in this book suggests that de-industrialization is a process that happens over time in all countries, even China. One implication is that criticism of China is not likely to provide a solution to these long term trends. Another implication is that the distinction between manufacturing and services is likely to become increasingly blurry. More manufacturing firms are engaging in services activities, and more wholesale firms are engaging in manufacturing. One optimistic perspective suggests that industrial country firms may be able to exploit the high-value added and skill-intensive activities associated with design and innovation, as well as distribution, which are all components of the global value chain for manufacturing. Although this ongoing transformation of the industrial economies may be consistent with evolving comparative advantage, it has significant short-run costs and requires far-sighted investments. These include the costs to workers who are caught in the shift from an industrial to a service economy, and the need to invest in new infrastructure and education to prepare coming generations for their changing roles. Lionel Fontagne is Professor of Economics at the Paris School of Economics, Universite Paris I Pantheon Sorbonne, and the Director of the Centre d'Economie de la Sorbonne (UMR 8174 CNRS, Paris). He has been the Director of the Centre d'Etudes Prospectives et d'Informations Internationales (CEPII, Paris) from 2000 to 2006. He is also a member of the Conseil d'Analyse Economique (Council of Economic Analysis to the French Prime Minister), a scientific advisor to CEPII, and a CESifo Research Fellow. He has published extensively in international journals on international trade and integration issues. ; Ann Harrison is William H. Wurster Professor of Multinational Management and Professor of Business Economics and Public Policy at the Wharton School, University of Pennsylvania. Prior to joining Wharton, she taught at various other universities, including Columbia Business School, the University of California, Berkeley, the Kennedy School of Government at Harvard University, and the University of Paris. Before joining the Wharton School, Professor Harrison spent a number of years in Washington D.C. at the World Bank. She served as the Director of Development Policy and as the head of the research team at the World Bank on international trade and investment. Professor Harrison received her PhD in Economics from Princeton University and her undergraduate degree from the University of California, Berkeley.